Intelligent Design is the scientific model that depicts all created things to have originated and have their current function based on the complexities and purposes designed by an intelligent Creator. This Creator must be, based on the evidence left by Him in His creation, an intelligent, emotion person who exists outside the boundaries of the all known create principles. Thus Intelligent Designs demand that there was an Intelligent Designer. Let’s examine how everything functions form the micro-verse to the universe, and how everything fit together harmoniously to works as a functioning whole. The word ‘Pleromato’ is Greek meaning fullness or whole, in this context it is used to describe the entire creation model for the entire scientifically observable, known universe. We can observe the evidence that our universe was intelligently designed by looking at the very small microverse and see how every unit on a microscopic level interacts perfectly to not only create a larger system, by have that larger system interact perfectly and integrated compatibly into an even larger system. First of all we will begin looking at the material universe (physical world) with the understanding that anything, when deconstructed, has as its very fundamental building blocks, the laws of physics, logic and mathematics. 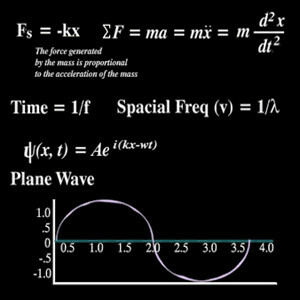 Physics dictates the laws of the physical universe allowing waves of motion to exist, and directional components function off this principle, allowing space to exist to give physical material place for manifestation. One complex system or component composes and works together with other functions and other components within its own hierarchy, which work together to builds up another complex system. This new hierarchy system of advanced complex structures work with other components within its own hierarchy to create a new complex structure, moving up higher and higher through the complex interworking structures which eventually find everything that makes up all creation from the micro-universe of atoms, all the way to the cosmic hierarchy of the galaxies, each uniquely designed structure functioning in harmony with one another. As we go through each of the models and move from one system to another keep in the front of your mind that this entire subject from the sub-micro particles to the extent of the universe is one huge system working together that is made up of uniquely design smaller and smaller sub systems. Each subject is just one large complex system that collaborates together communally to form the next working body up to the next set of structures that forms its own unique system to form the next proceeding body! = EVERY SYSTEM WORKS TOGETHER AND DEVELOPS A MORE ADVANCED SYSTEM! Don’t take for granted the very fact that math works! Mathematics retains the very fundamental laws that absolutely MUST remain consistent or all reality would unravel. Math is a very precise principle of logical acquisitions of reality that had to be meticulously design in order to keep all creation functioning as it does today and to allow each level of structures to be able to build upon one another. Everything in the universe can be broken down to its very elementary and fundamental means in mathematics. The laws of physics can be shown to theoretically underline the basic 0-dimensional points that eventually become everything that we can see and beyond. Everything that we can perceive in the universe is based on a perfect law of mathematics that universally keeps all things proportional from every known function and formula to perpetually equate a balance for every concept in creation. The fact is everything works not by random chance but intricate design is proven by mathematic formulas. From the concepts of mathematic arises the theories of the micro universe we cannot observe, to make up the things that we can. 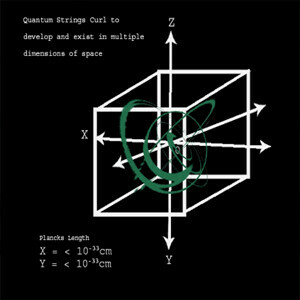 Inductive spatial dimensions- to understand inductive dimensions imagine a specific point somewhere in space that is 0 dimensions. By dragging that point in a new direction it become a line, or a 1-dimensional object. If you move that 1 dimensional object to a new direction and curl that line back on itself it become 2-dimensional. Anytime a point gains a new direction it obtains a new dimension (n + 1). 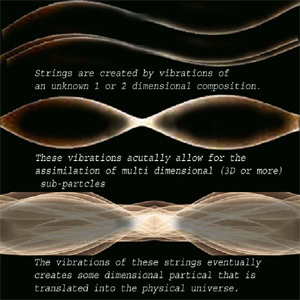 Strings vibrate into other dimensions making them constructable for particles in the 3-D spatial / material world. As theoretical strings are curled up, they create sub-atomic particles in our universe. The subatomic particles are the smallest physical material observable from our current perspective. 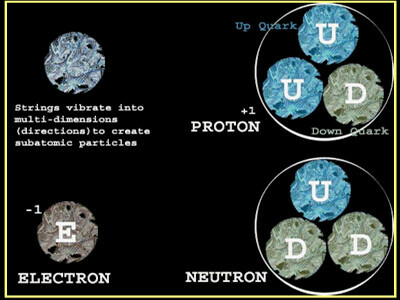 These include the quarks and electronics that are the building blocks for all of the atoms in the physical universe. The laws of physics stating the strong nuclear force allows these sub-particles to exist and be stable or to bond and form new particles on an atomic scale. As sub-atomic particles combined to form atoms, an entirely new system of design comes into view. 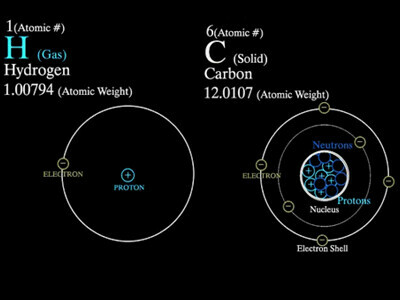 Atoms are the building blocks of all the molecules in the entire universe, which form a variety of completely new and different types of combinations based on laws found in chemistry. Atoms combine together to create different types of molecules. Molecules are clusters of atoms that bond together to create unique structures that are the building blocks for every physical object in the universe. 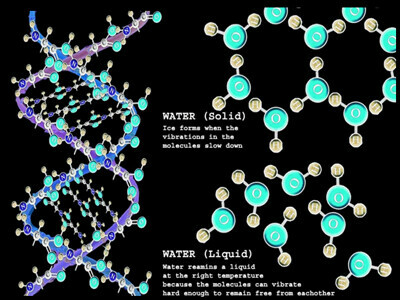 Rock formations, amino acids, water, the atmosphere, these are all just different designs of the unique structures that molecules can be formed into. 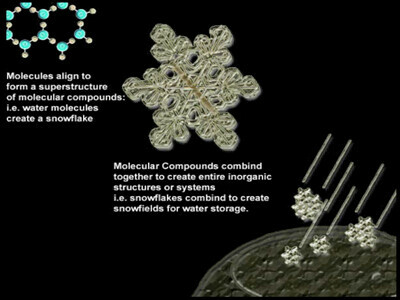 Molecules are clusters of atoms, bonded together to form structural patterns. Molecules in turn also group together to form things like inorganic structures or are combined together to create highly specialized programmable codes in organisms to form things like organs or tissues. Molecules combine into chains to form inorganic structures or combine into programmed sequences to make organic structures. It is at this point that a differential between organic and inorganic is made. 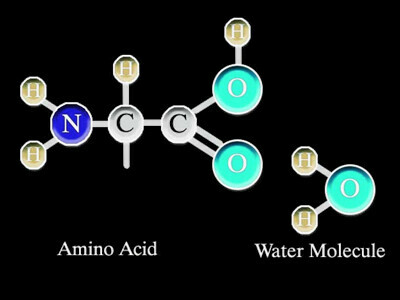 Molecular structures that program information creates organic compositions such as amino acids which make proteins. While other structures and bodies formed by large quantities of molecules that form together or clump with other types of molecules form inorganic structures and compositions. 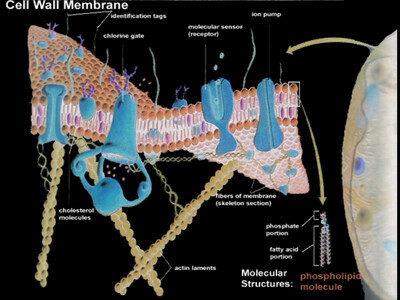 Molecules work together to create organelles, which are structures like the ‘organs’ of a cell. Organic structures made up of entire strains of molecules that must be carefully encoded by a designer to produce the extensively complex design we observe in biology. These extensive molecular chains and strains work together like building blocks to create complex factories; these are the components that produce some of the most advanced functions in our universe. Cellular observation yields highly complex factory like devices that make up just a micro-portion of just one of our living cells, Cells are like a high traffic city where everything is being produced and moved through dedicated areas to create a functioning society. 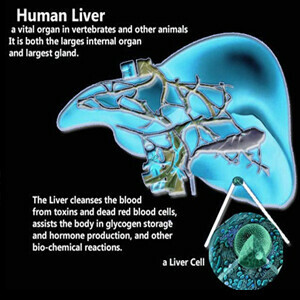 Organs work together to create a complete body of complex systematic functionality, not only to make up the entire organism, but giving it its own unique identity as a whole working unit. Proteins and acids are made up of molecular structures which are properly programmed in sequence to make up each basic organic structure. 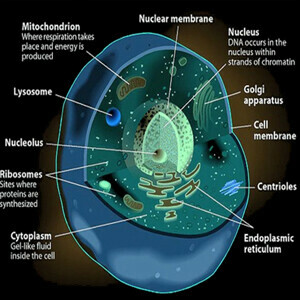 Organelles work together to create the advanced complexity that is the cell. Composed of large quantities of organic compounds and structural support systems, the cell is literally more advanced and computes more information than putting together all the factories in the world today. Cells are the building blocks in all organic living organisms that work together and communicate to create the organs that are necessary to create an entire system for living bodies. Organic Systems all work together in complex harmony and work as a balanced systems to make up the entire body of a living organism. 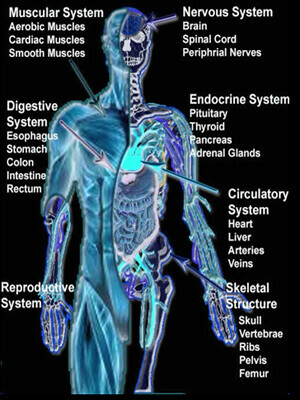 Multiple high performance systems are necessary to create the design of an entire functioning body. Functioning bodies then work together to create communities that in turn work together to function as a balanced system for the benefit and survival of the entire organic ecology. 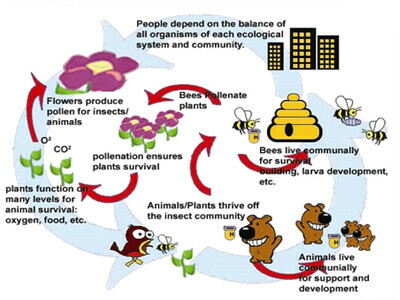 Everything must work together with inorganic structures to make a habitable and living environment for all organisms. Nothing can overpopulates and overtake other communities, nothing can cause mass destruction, famine, or plague or else organisms would not be able to persist. Everything must be designed to continually work together on a massive scale to function and play their part in a working society. Back to the structures of inorganic compounds that form from molecules. Similar to the organic structures, all necessary for the production and existence of life, formations like ice that forms as a storage unit on top of mountains. 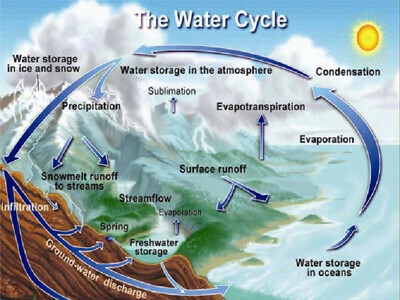 Water forms inorganic bodies along with all other types of elements that combined or clump together: rocks, minerals, etc. i.e. 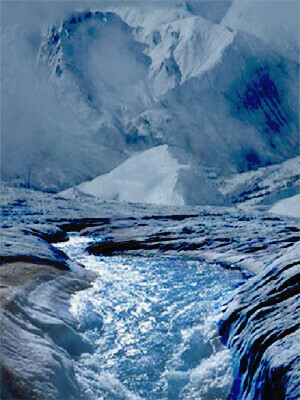 the atmosphere is the combination of multiple layers of inorganic gases in large quantities, mountains are the accumulation of a large system of inorganic minerals compiled together, oceans are the assimilation of large quantities of bodies of water etc. throughout the entire world. 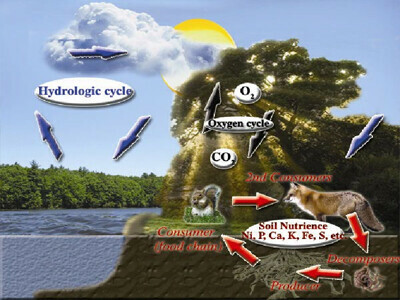 Inorganic bodies combined and function based on the laws found in physics to form large eco systems and ecological cycles, critical for organic life to persist. Complete complex networks that are critical for life to exist and continue to function. What’s more amazing is to continually look back on the physics that works on micro scales also work to make it possible for these types of complex larger systems to function and interact with everything that is created on a much larger scale. Now the combination of both organic and inorganic societies and eco-systems work to create entire environments critical for the functionality of life. 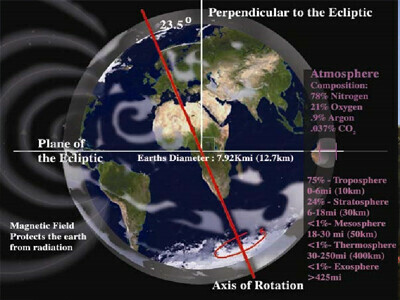 Everything works together in turn with larger with astronomical planetary and global features within the solar system, the sun, seasons, tides, etc. Eco-systems working together make up the entire planetary system which supports everything on it, the entire world in which we live. The entire planet functions together with all the inhabitances and in turn uses the laws found in physics on a greater scale to balance all the elements that are necessary for the earth to perpetually existence and to continue all necessary functions for life to exist. Everything on a planet must be designed to function in balance and harmony to continually support the life that it holds. Somehow, ‘miraculously,’ physics seem to work well not only to regulate the micro (quantum) universe but is perfectly designed for regulating everything in the cosmic universe as well. Keeping planets, star systems, and everything balanced in the cosmos. 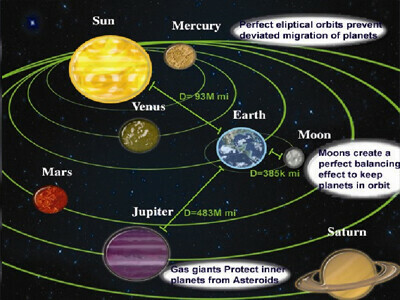 Gravitational relationships, distances of stars and planets radiation of starlight- the type of star, temperatures, magnetic field shielding, size of space – low density, proper distance Gas giants in the system low orbit deviation of planets (gas giants don’t migrate to inner system), all planets continue in a circular orbits, non deviation of the inhabitable planets moons and the relationship of the inhabitable planet from loosing its perfect balance due to pull of outer gas giants. The laws that maintain the continually mathematic balancing acts in an inhabitable system are all critically important and must have a purpose and design before anything can even be initiated. Star systems, galactic materials, stars and radiation levels must all work together to balance the astronomic body in which they exist. Astronomical features work together with everything from the laws of physics gravity, keeping everything moving around the galaxy, moving time forward for live to exist, etc. 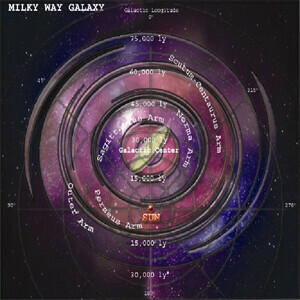 Location of solar system referenced inside of the Milky Way, gravity balances everything keeping us clear of inner radiation and molecular clouds. These higher systems (planetary and higher) seem to be maintaining the balance for organic life at a much smaller scale. One of the primary observable facts about this entire model is that all of the scientific concepts and designs work perfectly on each level to not only compensate and harmonize with every other feature on its own level, but works together communally to create an entirely new level of functionality. i.e. Atoms harmonize and not only function, but work together to create a whole new ‘step up’ level of building blocks- molecular structures, which in turn do the same, creating a new level or ‘step up’ of building blocks for something bigger. It is argued that by simply looking at a system, it should just simply work given the fact there are multiple interactions in that system, and that it will be able to work itself out in time. Not only does this argument go against logic, but looking at the continual “BIGGER PICTURE” on each level and in every system, everything continues ‘stepping up’ to makes a more intricate system. Darwinian Evolution, or the belief that absolute random chance created all things, is not even feasible when you observe everything in one large picture, because the problem isn’t just with biology anymore. The problem is with everything from quantum physics to the cosmic universe working together in a designed order to create overall perfect systems of balance order and glory. The fact that everything even works at all is the astonishing fact, let alone that everything works on its own level to create a larger more intricate body or system. Each level of complexity shows design and intent, and everything is a masterpiece of design by our creator as shown in every piece of His creation. A very interesting observation taking in account all the evidence in the creation model in reference to the physical universe; is that beginning on a micro scale and moving up to the organic level, then taking everything from the galactic-cosmic level and moving back down to the organic level, we find that everything seems to be designed to be a supportive for the existence of organic life on every level. The fact that each level and system of functionality works to be a sustentation for organic life seems to be another piece of compelling evidence towards the Anthropic Principle, namely, that the universe was created as a dwelling place for mankind, the only self-aware being that can look up to the creator in this material universe. Isaiah 40:12- Who hath measured the waters in the hollow of his hand, and meted out heaven with the span, and comprehended the dust of the earth in a measure, and weighed the mountains in scales, and the hills in a balance? God measured all the properties of all the elements on earth in exact proportion to assure that everything would remain in balance. He measured just the right amount of air, water, hydrogen etc. putting them all in just the right place for his perfect creation. He is the Powerful Designer, Creator of everything in the beginning and He purposed everything exactly where He put it with exactly how much He intended it to have, with a perfect balance.